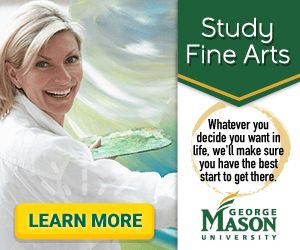 A fine arts degree is versatile enough to open doors for many unique career opportunities. Whether you are an artist, musician, or writer, there are dozens of job opportunities for each specialization. From an entrepreneurship to self-employment, the following are careers that can utilize your fine arts degree, most of which you may have heard of or have never thought of. International students may have a career choice in mind when they pursue a degree in fine arts, or maybe they are still weighing their options. Whatever the case, the job opportunities for a fine artist are endless. Whichever career in fine arts you choose to pursue, you must be conscious of the realities. Becoming a self-sufficient artist can be very difficult in certain parts of the world. You must have dedication and perseverance to succeed. It is possible that you may struggle to make a name for yourself at first, but if you stick with it, you will be provided many opportunities to become successful. Artists are those who can create and shape sculptures, paintings, designs, and words. When one thinks of jobs in fine arts, one tends to think of art galleries, art teachers, or maybe hobby painters. However, the reality is there are many other options available. Artists can include graphic artists who work in a team to create art in newspapers, magazines, and pamphlets, illustrators who create caricatures or cartoons, and website designers who create diagrams or customize the appearance of a website. Art therapy is an up and coming profession where therapists work with a variety of patients to create works of art that help comfort, relax, and lighten the mood of the patients. Tattoo artists is another career in fine arts that not many people think of that allows you the opportunity to create works of art on the human body. If you are a writer you can use your words to write blogs that entertain, journal articles that inform, or directions for clarification. This job requires you to create design concepts and presentations for a client. As a director you are in charge of workers who you collaborate with on art creation, layout, and copy writing. This career requires a bachelor's degree and has a salary of $91,500 USD in the United States. Companies come to you to help interpret a script and create a vision for a possible adaption of a written work. Directors are in charge of rehearsals for both the cast and technical crew. This career requires a bachelor's degree and has a salary in the United States of $86,900 USD. These individuals are in charge of designing the structures you see every day. These include private homes, offices, and public buildings. You will need a bachelor's degree and a PhD for this career and can expect to make $78,400 in the US. This career requires someone who is passionate enough to direct students in courses of drama, music, or art at the university level. To teach at a community college you need a master's degree, to teach at a university you need a PhD. Expect to make around $68,200 in the United States. A tricky profession to get into, but once successful you will be sought to create original stories, poetry and even lyrics. You need a bachelor's degree and can make $64,500 in the US. Musicians are masters of classical music pieces or composers of new ones. The industry is known for the inability to find a stable job, but most persist because they immensely enjoy what they do. Typical jobs that international students might be familiar with include a composer, symphony member, conductor, soloist, or choir singer. Some other jobs in fine arts that requires a musical talent include a radio PR who is the voice you hear on the radio in between songs and a music journalist who must have a strong musical background in order to rate and review music. This is the person in charge of creating or choosing sound clips that are found in cartoons, movies, and commercials. Typically this career requires a four year degree and the salary comes to $68,600 USD depending on your location. You may not get to create music, but you are in charge of musician's contracts, schedules, and planning tour dates. It is often the case that you utilize your creativity to form connections and market your clients. You will need a bachelor's degree and expect to make $54,000 in the US. Nothings greater than being able to share your passion for music with students and help guide them to their own successful paths by creating solid curriculums. A PhD or master's degree is required and you will receive on average $50,200 salary depending on where you are located. These individuals typically work with a group, orchestra, or choir to develop programs, conduct rehearsals, and set up shows. Usually requires a 4 year degree, but you may need a master's degree. In the US, you can expect around $49,300 USD. Those in charge of operating microphones and checking for sound quality and range in concert halls. Requires a 4 year degree and possibly further, with a $46,500 salary. As a fine arts international student you have to recognize that a career in fine arts has endless possibilities. Don't fret if you are having difficulty deciding exactly what you want to be. Interview those who hold a position you may be interested in or research a career further online. The information you gather can give you insight into opportunities you may have never thought possible. Learn more about studying fine arts in the USA by reading our growing article collection. « Study Guide by Subject	« Study Fine Arts in the U.S.
Over time we will be updating this section and including more information for those who want to study fine arts in the USA and for other countries, but please feel free to post your thoughts and comments on our Facebook fan page, and also follow us and post questions through Twitter. Visit the Study in the USA School search to find schools that offer programs of study in Fine Arts.